I guess if you don't mind being rude... 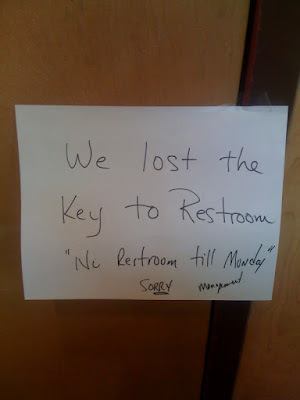 But really this is excellent because they lost the silly key. I guess now they know the secret of the giant flyswatter keychain. Thanks, Richard. Heehee, reminds me of the old Jimmy Buffet song: "come Monday, it'll be all right... it's been four lonely days in a brown LA haze"